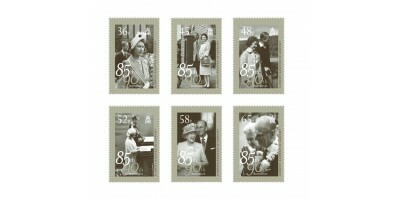 Our prestige booklet contains four sets of these fabulous stamps in beautifully illustrated panes. There is a wealth of information throughout the text and the illustrations dotted throughout the boo.. 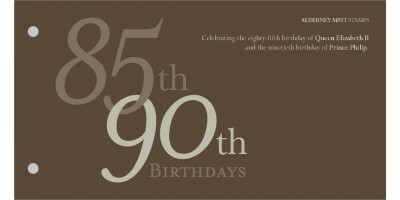 This year, in 2011, it is The Queen's 85th birthday and the 90th birthday of Prince Philip, Duke of Edinburgh. 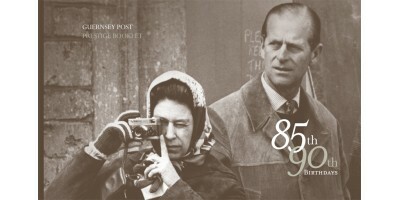 Chosen for their natural qualities, our commemorative stamps celebrate the life of Her Majesty and Prince Philip; and here we look back at their early years and marriage. Born in Mayfair, London on 21 April 1926, The Queen was the first child of The Duke and Duchess of York, who later became King George VI and Queen Elizabeth. The only son of Prince Andrew of Greece, The Duke of Edinburgh was born Prince Philip of Greece and Denmark in Corfu on 10 June 1921. The couple, who announced their engagement in 1947, had known each other for many years and were married in a low key ceremony at Westminster Abbey later that year on 20 November. The health of the Princess's father, King George VI, was deteriorating and in 1952 the Princess, accompanied by Prince Philip, took his place on a visit to Australia and New Zealand. By now the couple already had two children - Prince Charles, who was born in 1948 and his sister, Princess Anne, born two years later. Whilst staying in Kenya the Princess was informed of her father's death and her accession to the throne: she had left Britain as a Princess but was flying back as Queen. 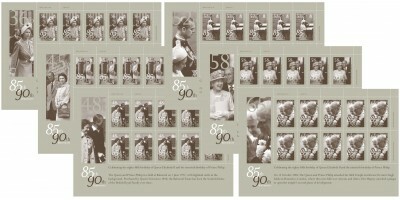 After becoming Queen a third child, Prince Andrew, arrived in 1960 and the fourth, Prince Edward, in 1964. 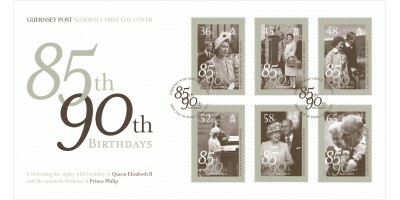 The Queen celebrates two birthdays each year: her actual birthday on 21 April and her official birthday on either the first, second or third Saturday in June when the weather is likely to be better. On her official birthday, Her Majesty is joined by other members of the Royal Family, invited guests and members of the public to watch Trooping the Colour, which moves between Buckingham Palace, The Mall and Horseguards' Parade. The Queen's actual birthday is usually a private affair, although the occasion is marked publicly by gun salutes in London at midday.